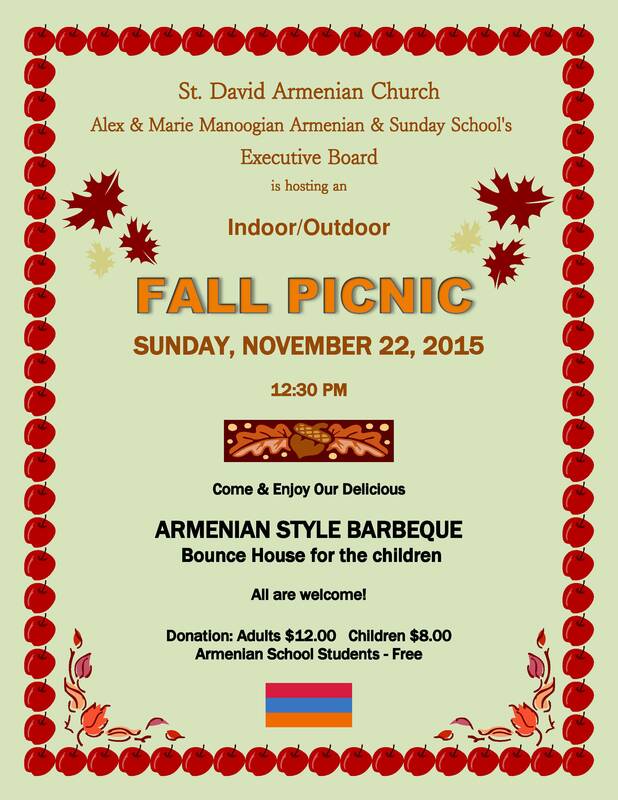 On Sunday, November 22nd, St. David Armenian Church in Boca Raton is hosting their first indoor/outdoor Fall Picnic. Come and enjoy delicious Armenian Style BBQ and other delicacies. They will have a bounce house and other fun and games for children. Florida Armenians encourages you to bring your entire family and friends for an afternoon full of fun, joy and delicious Armenian BBQ! Posted on November 2, 2015, in Armenian Church, Events, Food, General Update and tagged Armenian, Armenian Church, BBQ, Boca Raton, Fall Picnic, St. David. Bookmark the permalink. Leave a comment.